The living room is ready — are you? How long ago was the first batch of Steam Machines announced? Ages ago — that's what. You could be forgiven for forgetting that Valve launched its concepts alongside a slew of promised machines from partners as those machines have yet to see the light of day. Or, more realistically, the light flickering from your 42-inch telly. We still have months to wait too. There's a shop page up on Steam with a long list of systems, but you won't be able to buy them until November. 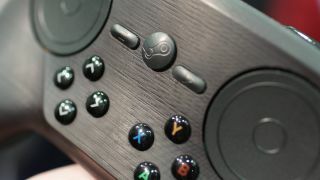 For now, you can salivate over these Steam machines coming in 2015, but with your eyes only. We're getting so fed up of waiting for the commercial versions to go to market, that we decided to look at how viable it would be to build one ourselves. Our verdict? It's a lot easier than building a PlayStation 4 or an Xbox One. Firstly there's a truly budget games machine — The Bargain Beauty — that you can build for just over £200 (around US$298, or AUS$391). After that, a machine that's priced to compete with commercial Steam Machines — the Marvellous Midranger. Finally, there's one a gamer build — the Gamer Grand — for (you guessed it) under a grand. Steam Machines are Valve's reimagining of the gaming PC. Running the Linux-based SteamOS, they take your games as close to the metal as it's possible to get outside the console arena. Even though the first commercially available units won't ship in the US until November, you could be firing up your own Steam Machine up tomorrow (depending on your competence with a screwdriver and the availability of parts). An Intel compatible, CPU equivalent to a Core-i3 series chip or higher. But not much higher. As much storage as you can afford - preferably on a hybrid drive for instant-on support. You'll need a game controller too, but lets assume you have one lying around - or at least have a keyboard and mouse - until Valve's own Steam Controller becomes available. As for a monitor? This build is designed to connect to your TV via HDMI, so there's no need.